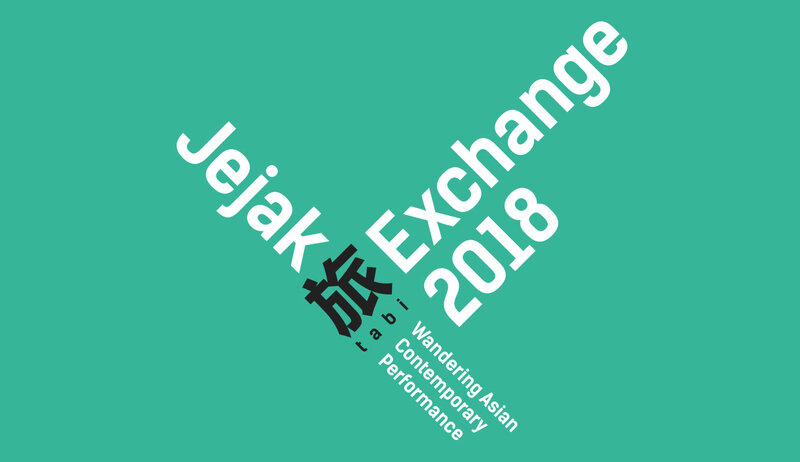 In this talk, choreographers Pichet Klunchun and Padmini Chettur will engage in a conversation with peformance-maker Yudi Ahmad Tajudin of Teater Garasi/Garasi Performance Institute and choreographer-dancer Donna Miranda (Manila) on their respective take on the notion of “tradition” (the classical, the historical source, or even just the past) and how it has informed their artistic journeys such as in formulating each own’s contemporaneity. Moderated by co-curator How Ngean, this talk hopes to investigate the four artists’ point of departure, process vis-a-vis practice and eventually their theoretical provocation that feeds back into their sources of artistic training. Pichet Klunchun bridges traditional Thai classical dance language with contemporary sensibility, while keeping the heart and wisdom of the convention. He trained in Thai classical mask dance, Khon, from age 16 with Chaiyot Khummanee, one of the best Khon masters in Thailand. After receiving his Bachelor degree in Fine and Applied Arts at Chulalongkorn University in Bangkok, he pursued theatre both as dancer and choreographer. He has participated in several intercultural performing arts programmes in North America, Asia and Europe. Pichet has earned many honourable world-class awards namely “Routes ECF Princess Margriet Award for Cultural Diversity (2008)”, Chevalier of the French Arts and Literature Order (2012) and the John D. Rockefeller 3rd Award (2014). Padmini began her contemporary dancer’s career in 1990 as a member of the troupe of Chandralekha—the radical Bharatanatyam modernist choreographer, whose own opus dealt primarily with deconstructing the form of Bharatanatyam. Breaking away from Chandralekha’s work in 2001, Padmini formed a practice that shifted the choreographic tradition to a minimalistic language and visually translated philosophical concepts of time and space as they relate to contemporary experience. Deriving vocabularies from phenomenology, cultural studies, insect movements, astronomy, physiotherapy and sports, she created a taut visual language that exit the narrow bounds of the stage. During her choreographer’s career ranging over almost two decades, she collaborated with sculptors, light-artists, filmmakers, and sound-artists to realise her choreographic works. Padmini embarks on the research and development of each new work with a set of precisely articulated choreographic concerns. Her approach to movement research is almost scientific in rigueur. From Wings and Masks (1993) till date, throughout her oeuvre there is a deliberate concern with constantly refining form. The development of this concern yields a stark yet rich aesthetic in her work that is far removed from any obvious Indian classical dance context—a path that had its seed in her exposure during working with Chandralekha. As both choreographer and performer, Padmini has forged an overarching creative approach that pulls focus to the form and movement of the body. Early on, in her journey as a dance-maker, she took a very conscious decision not to train formally abroad—a decision which points to her well-formed politics. Her work—highly abstract in nature—is rooted in the cultural fabric of the uniquely engaged dance community of Chennai. Yudi is a founding member and director of Teater Garasi/Garasi Performance Institute, a multidisciplinary artist collective based in Yogyakarta, Indonesia. In 2013, Teater Garasi was named a Prince Claus Laureate for, among others, "their adventurous spirit and groundbreaking work in stimulating performing arts in South East Asia." 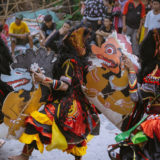 His portfolio includes interdisciplinary projects with other prominent artists and his critically acclaimed works range from contemporary opera, dance theater, classical drama, performance art and interpretation of Javanese traditional performing arts. Known as a cutting edge director who has brought Indonesia's theater scene to the next aesthetic level, Yudi was granted an 'Art Award 2014' from Ministry of Culture, Indonesia, and received Asian Cultural Council fellowship to study New York theatre scene in 2011-2012. "Creating Works, Carving a Path: Strategies and Tactics"